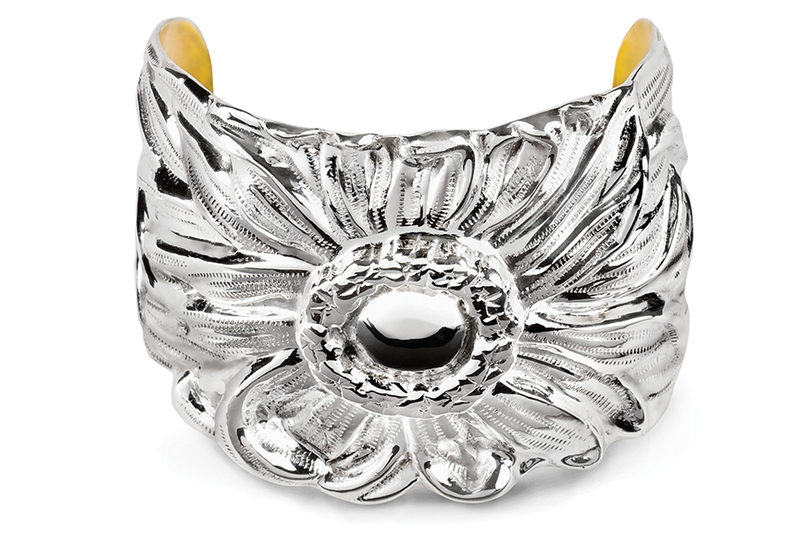 The Daisy Cuff is an American classic, a mix of high charm and full-on assertiveness. This is no shy flower, presented straightforwardly, with gorgeous full petals sweeping out from its gleaming smooth center. The bracelet measures slightly more than 2” at its height and is 6.5” around.